Winter is here indeed! What an incredible start to the episode! After a long hiatus Game of Thrones is back. From the opening moments of the show we are treated to a great scene in which Arya Stark solidify how much of a badass she is. From the beginning of her journey it seemed hard to believe that she would be able to avenge her love ones and get the redemption her sought but the show is most certainly making it a reality. In the North Jon Snow is learning that it is not easy being the King of the North. As he has to make decisions that may not be popular but are for the best. One of those decisions is not taking away the Karstark’s home. Even with the elder Karstark’s trangessions it did not seem fair to punish the children for there mistakes. It also doesn’t help that LittleFinger is slowly attempting to put doubt in Sansa’s mind to betray Jon. The question is will Sansa stand by her brother’s side or betray him. In Kings Landing, Cersei is as ruthless and cunning as ever as she prepares for the arrival of Daenerys Targaryen. 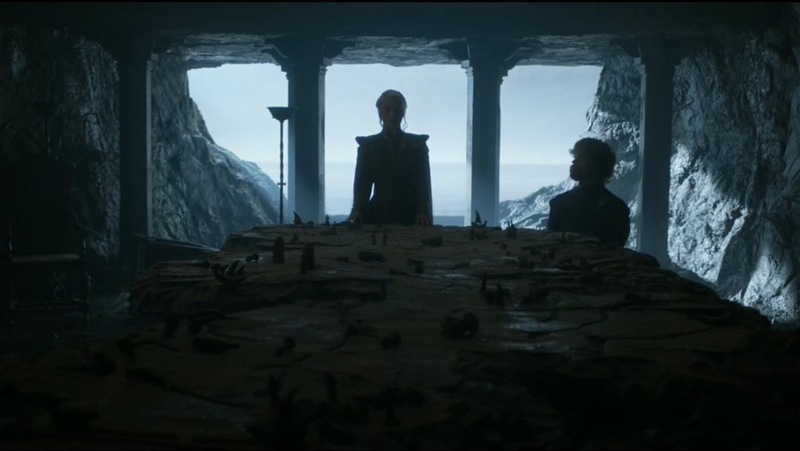 With her allies dwindling ( with the Fray’s and the Bolton’s gone) she seeks help from Euron Greyjoy. This was a great scene because it giving us what we wanted for so long. All of these characters are starting to interact with each other that has not done so thus far into the series. This episode does a very good job of giving us an update on everyone without going to much into it. The episode only gives you enough to keep you invested until next week. With that being said there were a a lot of small moments that were a lot of fun, as Remly being trained, the Hound’s personal stuggle and of course the final moments in which Daenerys returns home with her army. 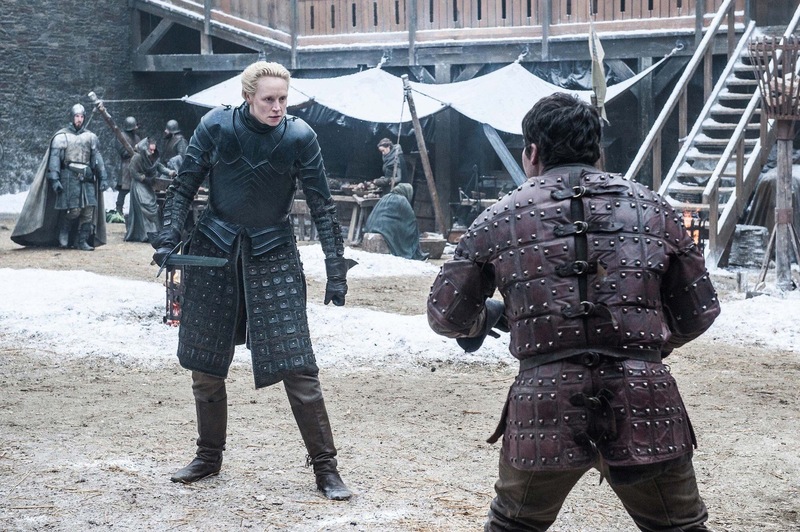 Overall a solid episode of Thrones that moves the plot forward in baby steps.